If I was forced to name my favourite flower, there’s a good chance it might be the peony. I love to see the red fronds of the herbaceous type pushing through the soil back to back together in their unearthly fashion around this time of year, full of promise for the season to come. And when their blooms appear – well, could you blame me for deserting the rose in favour of these? Primrose Hall, a fixture at all the best UK flower shows, are currently teasing a sketch of their proposed 2019 Chelsea Flower Show design online. Arrangements of blooms tower over a garden of peonies. In the background, a garland tumbles down towards flowers floating in a traditional clawfoot bath. That’s my kind of outdoor bathroom! The pictures I’m sharing here were taken on their stands at last year’s RHS Chatsworth and Hampton Court Flower Shows. I had thought that there must be more than one peony here but as Primrose Hall’s Alec White, who kindly agreed to identify the peonies, observed, “Note that the corals change colour quite a lot as they mature!”. The glorious progression of Peony ‘Coral Sunset’: if only all our sunsets were peony ones! 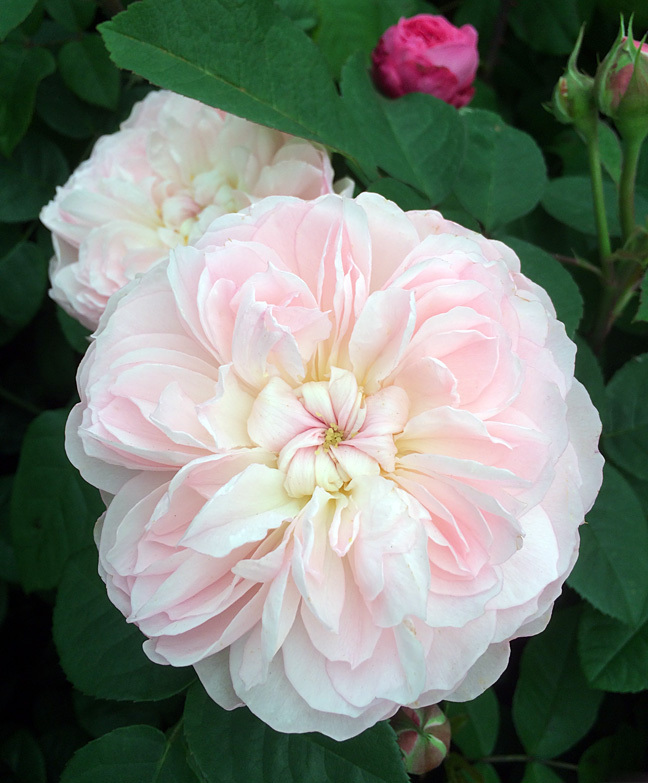 Their shapes vary quite a lot too, from round buds, to deep, open chalice shapes and loose doubles with sheeny, ruffled petals. Primrose Hall is a family-run nursery offering peonies that have been grown 3-5 years or more before being despatched. Compared to plants sold in 9cm pots, they might appear pricey, but by choosing premium plants you can expect a better display, more quickly. As a specialist nursery, they stock a wide choice of peonies, including some unusual specimens. Their experts suggest that herbaceous peonies should be planted shallowly, making sure that the tuberous roots are just 2.5cm (an inch) or so below the surface. If your plant is flourishing and leafy, but does not flower, this could well be the reason. Peonies are not particularly fussy about soil. Take the normal precautions you would when planting anything you’ll treasure, enriching the soil with organic material before planting and improving drainage if needed (e.g. in heavy clay) so the roots will not stay waterlogged. Give them a sunny spot to help them shine. Peonies take time to mature, so don’t expect overnight results, but when happy, they can outlive us, producing a spectacular show each year, even when left pretty much to their own devices. While they do not suit every climate, any English gardener who walks around their neighbourhood will know of at least one house where a peony has been growing for as long as they remember and, more likely, of several. My favourite is the unlikeliest: a peony in a tiny garden that is almost entirely swamped by a silver leaved shrub. Not letting its bedfellow overshadow it, the peony spills huge, frothy pink flowers into the street come early summer. While peonies only flower once each year, their deeply lobed foliage is elegant as any fern, their seed heads attractive, and some varieties develop wonderful autumn colours. When they are in flower, their harshest critic would have to concede their blooms have it all: size, colour, form and fragrance. Peonies are great for cutting, but Primrose Hall recommends that to help the plant bulk up, the flower stems should not be cut in their first year after planting – assuming you can resist. If you are planning to grow flowers for a special event, peonies may top your wish list. It’s hard to guess how each season will unfold – as any gardener knows, nature’s compliance should never be taken for granted. 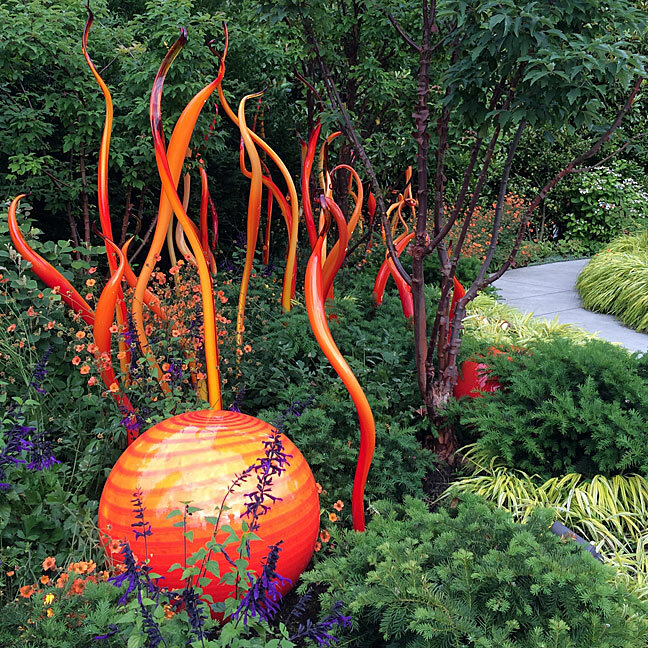 Plants that are already in place and thriving offer the best chance of success. If you still need to plant, choose the best established plants you can find, ask an expert grower to estimate the flowering window in your area and make sure your timescale is realistic. Always have a backup plan. And never hope to match living, ever-changing petal colours to a pantone reference. A fine flower like the peony deserves to be accorded tolerance. While it may seem a risk to grow-your-own, when everything works out, oohs and aahs are guaranteed and you’ll have garden flowers every anniversary to commemorate the day. The nursery is open Monday to Friday, by appointment only. They’ve not got any knees either. No, they’ve no need to be kneed. Thank you for these pure wonders of delicacy! I love peonies but have only ever seen them in a florist store. I’ve never seen them in a residential garden (when out walking) OR strangely enough, never in the Royal Botanic Gardens here in Melbourne either. Maybe the RBG in Melbourne discarded them (if they had any) when they re-lanscaped over to drought tolerant plants from Sth Africa, the U.S. and South America and Australian Natives. They apparently grow there in ‘cool temperate gardens’, but does Melbourne classify as being cool and temperate? Gorgeous shots!! I’m so looking forward to seeing the peonies bloom in Switzerland!! It will take still a few weeks… but it will be worth the wait! Certainly very lovely flowers and photography. I like that second photo particularly. Thanks – there’s a lovely range of colours in that one. These are so beautiful, and so full of memories! When I was a kid, the town I lived in was sparsely populated and many of the few houses there had huge backyard gardens, heavy with peonies in the summers. We had some in our back yard, too. Of the ones above, “Bowl of Cream” blew me away. “Unreal” applies. Also I must gush a bit about all names: Primrose Hall, Toddington Road — lovely! And is that Dingley Dell the same as the one in “Pickwick Papers”? This was a gorgeous start to my day — thanks! Sadly not – The Dingley Dell of the novel was based on a manor house in Maidstone, according to The Daily Telegraph. Your mention of huge backyard gardens heavy with peonies makes me feel nostalgic, even though I can’t remember seeing peonies as a young child. I feel as if my ‘Bowl of Cream’ ought to be creamier, but I am very happy with the myriad of petals. Maidstone! Now there’s another lovely name! Maybe back yards filled with peonies is by definition nostalgic whether we had them in childhood or not. I cannot imagine any improvement on “Bowl of Cream,” but then I haven’t seen them in person. I will try to imagine them creamier. The address of that place alone is an English poem. The peonies are yummy! I hadn’t noticed until it was pointed out, but you’re right. I love her work too. I agree that peonies rate right up there with roses. Their only drawback is that they don’t last longer. But the beauty they give is worth waiting for! Each flower gives all it has to give. 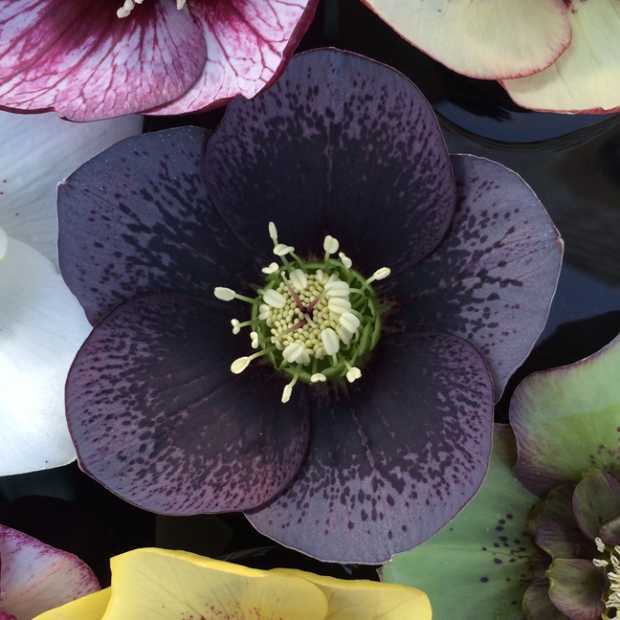 The longest lasting flowers must surely be hellebores. I was in a wood filled with them yesterday and they still looked wonderful to my eyes, even though they were long past their ‘best’. They do have the big advantage of not having true petals. The extroverts of the flower world. Yes – there’s no hiding a glimmer of light under any bushel! I love them, too. I moved almost a year ago – two years without peonies in my life. Beautiful and so lovely smelling. Ants like them, too. It’s hard to leave any plants behind but peonies? You have my sympathy. What is it that the ants like? We had fire ants, which bite. For me the bites are super painful then really itchy. Peonies would be covered in all sorts of ants. Guess they liked them, too. And I am so sad to leave them behind. I’m sorry you had to leave them, but it was a blessing to have had them. A fire ant would make a bad surprise in a bouquet! Peonies are such an odd one for us. They do well in a few neighborhoods, but not in most. They get such minimal chill here. Yet, I really do not know if that is why they do not do so well. I mean, they do not do much in my garden, but just a few blocks away (where I lived in town), they bloom ‘somewhat’ nicely. Supposedly, they do well as far south as the Santa Monica Mountains. Some varieties don’t seem to need as many hours of chilling and flower early enough in the season. Paeonia ‘Festiva Maxima’ and Paeonia ‘Sarah Bernhardt’ are old passalong plants I’ve often seen thriving in Southern Mississippi.